Sheldon Museum of Art's landmark Philip Johnson–designed building houses the collections of the Sheldon Art Association, founded in 1888, and the University of Nebraska. Together, the collections include nearly 13,000 artworks in diverse media. The museum's comprehensive collection of American art includes prominent holdings of 19th-century landscape and still life, American Impressionism, early Modernism, geometric abstraction, Abstract Expressionism, pop, minimalism and contemporary art. More than thirty of Sheldon's monumental sculptures are exhibited throughout the University of Nebraska–Lincoln's City and East Campuses, including major works by Jun Kaneko, Gaston Lachaise, Jacques Lipchitz, Claes Oldenburg and Coosje van Bruggen, Richard Serra, Yinka Shonibare, and Mark di Suvero. 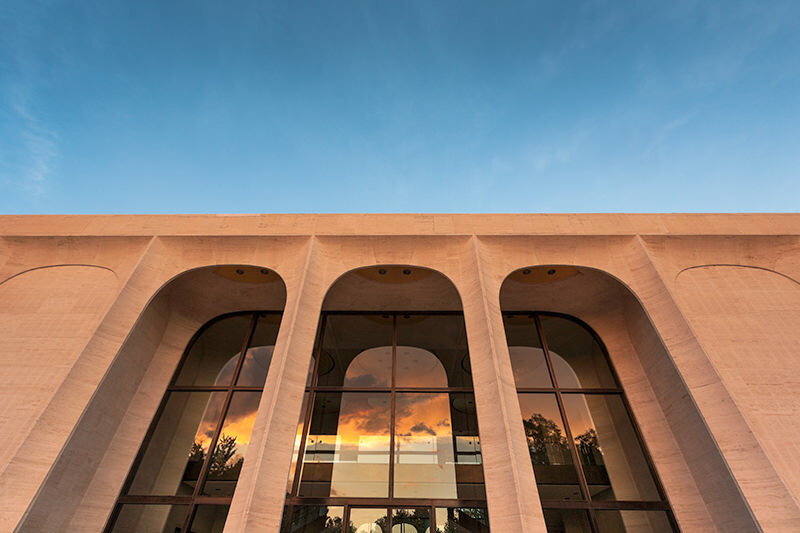 In 1972, Sheldon Museum of Art was among the earliest institutions to receive accreditation from the American Alliance of Museums (AAM)—the highest national recognition afforded museums in the United States—and was most recently reaccredited in 2012. Sheldon is also an institutional member of the Association of Art Museum Directors (AAMD) and the Association of Academic Museums and Galleries (AAMG).